The Fly Outbreak #3 continues this new IDW five part horror mini-series, written by Brandon Seifert and with art by mention3. Inspired by David Cronenberg’s, The Fly (1986), and its sequel, The Fly II (1989), Brandon Seifert and mention 3’s comic book series deftly splices the DNA of the films with its grisly new storyline and strikingly unsettling visuals as it teleports the saga into even darker realms of macabre horror and twisted morality. Brandon Seifert wrings every ounce of tension from the premise of this comic book sequel to the Fly films. This issue finds Martin Brundle haunted by grotesque visions of an outbreak of human-fly hybrids. 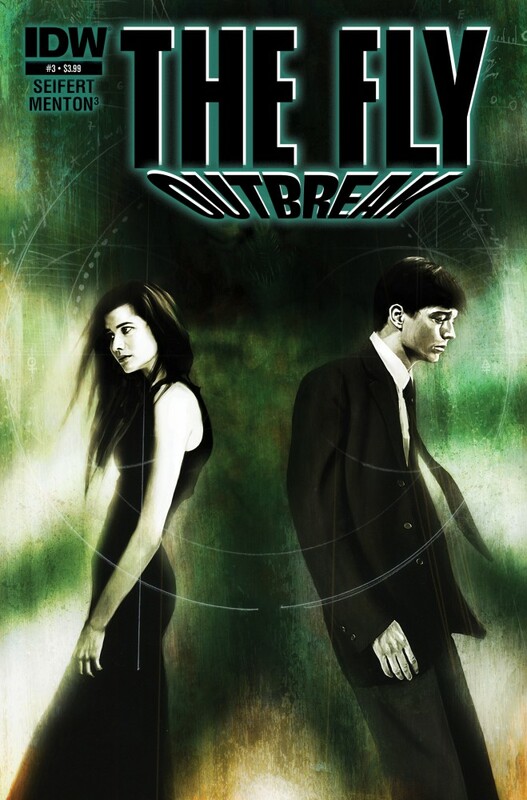 Wracked with guilt and self loathing as he struggles to find a cure for the infected, Martin also longs to be reunited with his wife, Beth, as the endless quarantine drags on and the inevitably of an outbreak looms over everything. As the story begins to explore the nature of the experiments Martin originally conducted to cure his own condition, which in turn subsequently provides a very morally ambiguous solution to treat the infected, the unsettling psychological themes and body horror from the films is elevated to a whole new level of terror as events begin spiralling out of control. The amazing art by mention 3 perfectly harnesses the simmering tension and stark clinical tone of the hospital facility. It makes for an incredibly oppressive issue: the creeping nature of the slow, gradual mutation of the infected is chillingly relayed, Martin is like a fly caught in a web of chaos, constantly hunched over glowing computer screens, lurching from one horrific discovery or revelation to the next, the shadows growing ever darker, and all the while the sheer dread of the hapless victims plight insidiously weaves its cocoon around our jangled nerves. At times mention 3’s art almost makes you feel like you are peering out from inside one of the faceless officers bio-hazard gas masks, your breath whooshing thunderously against the masks filters, as the stifling, claustrophobic atmosphere begins to seep from the page and close in around you. Martin ultimately finds himself unable to escape from the shadow of his father’s legacy. The dye is already cast from the moment his proposal to cure the infected is shot down in flames by the faceless officials enforcing the quarantine. As Martin’s world slowly begins to slide into despair at the bottom of a bottle, he knows that the technology of the telepods, his work, and even his tireless attempts to find a cure for the infected from this outbreak will only result in the irony of him being branded the bogeyman of science whatever the eventual outcome may be. The Fly Outbreak #3 “ Metamorphosis” provides a nail-biting turning point in this new IDW mini-series. Brandon Seifert’s great story and the unnerving intensity of the artwork by mention3 ensure there’s a plethora of shocks and gross-out moments for horror fans to enjoy. If you like your horror brutally dark, visceral, and with a gelatinously twisted moral edge, then IDW’s The Fly Outbreak is the comic book mini-series for you. Andrez Bergen, Bullet Gal, Bullet Gal #11, Bullet Gal #11 Review, Depth Charging Ice Planet Goth, Heropa, IF? Commix, Tales to Admonish, The Crime Crusaders Crew, Tobacco Stained Mountain Goat, Trista and Holt, Who is Killing the Great Capes of Heropa? After the release of the Bullet Gal trade paperback collection: It’s Not You It’s Me, the 12 issue arc by Andrez Bergen continues in Bullet Gal #11, the penultimate issue of this IF? Commix series – available digitally and exclusively published in Australia on July 1st 2015. 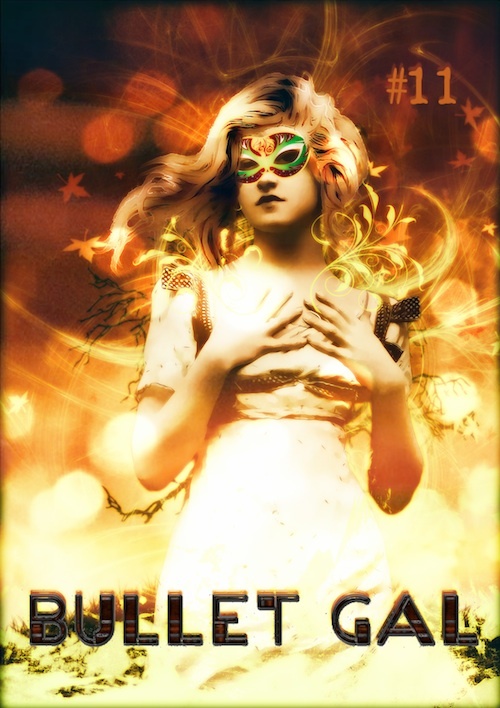 Bullet Gal #11 sees our heroine, Mitzi, regaining consciousness in hospital after being shot – a hit ordered by crime boss Sol Brodskey and arranged by his personal assassin and lover; the psychotic French femme fatale Brigit. Now, as Mitzi recovers, her mentor, Lee, can finally reveal his plans to deal with his six remaining duplicates. Soon their lives will be changed forever, a new HQ will be founded, and the roll call of Capes surreptitiously altered – but what will the implications of the Reset mean for the noir-inspired pseudo digital reality of Heropa as the end draws near? Following last issues debut of pint-sized new recruit, Little Nobody, this IF? Commix book prequel series from Australian author Andrez Bergen, writer of the noir-themed superhero detective novel Who is Killing the Great Capes of Heropa, along with IF? Commix series Tales to Admonish, Trista & Holt, the graphic novel Tobacco Stained Mountain Goat, and the new novel Depth Charging Planet Goth, delivers his most intricately structured issue so far with Bullet Gal #11 as the series builds towards its conclusion. From the moment Mitzi arrived in Heropa, the gutsy 17 year old armed with her late fathers twin polished nickel 9mm Star Model B pistols, her self-styled mission against crime soon earned her a mentor, the enigmatic Lee, a man who has – until now – played his cards very close to his chest. He’s a character who is very much a quandary of his own making. Lee is not only the man who created Heropa, he also moonlights as Major Patriot (The leader of the Crime Crusaders Crew), and he’s one of eight identical doppelgangers which represented the fragmented persona of the man whose angst-ridden agenda to resurrect his wife actually engineered Heropa’s digital reality – Lee Denslow. The way in which Andrez Bergen weaves the innumerable plot threads together here in this issue is simply sublime. Its spellbinding to watch as mentor and protégé ready themselves to face the uncertain future that will be forged of their own design, especially once the post-op histrionics have been cast aside, and each heartfelt scene between Mitzi and Lee is so intimately moving it will keep you hanging on their every word as the intense chemistry between them shimmers over the page like a haze of twirling cigarette smoke. This more colourful side to Lee’s character brings even greater diversity to his partnership with Bullet Gal, and it even sees him impersonating one of his own duplicates over the course of this issue. As the pieces of the puzzle begin to fall into place all the grand schemes, organized crime, dark shadowy conspiracies, and even the legacy of Heropa itself are succinctly redefined as Lee explains his plans to Mitzi. Andrez Bergen’s distinct art has constantly pushed the envelope with this IF? Commix series. Bullet Gal #11 is no exception to that rule: indeed the vivid pulp noir themes, Dadaist influences, and flourishes from the halcyon era of comics are all as prevalent as ever. With his stylish use of bold monochrome imagery, digital manipulation, and exquisite photomontages, Bergen adds an uncanny vibrancy to the cold sterility of Mitzi’s hospital room, while the flash back to Lee #3’s (That’s our Bullet Gal’s Lee) meeting with his cabal of duplicates is categorised more by the infamy of their brooding menace, it is the quieter, more subtle moments where something as simple as a hug, a sidewise glace, and the gentle simplicity of allowing the silence to say everything while Mitzi and Lee gaze out the hospital window at the sprawling metropolis of Heropa that really exemplifies the close emotional bond between these characters and the city they inhabit. Ironically enough it is the agenda of Lee’s forebear, Heropa’s originator Lee Denslow, that has allowed Lee to ensure that his designs for a new HQ becomes an integral part of the Reset, which together with the help of Great White Hope, Milk Crate Man, and the Big Game Hunter will make certain their “get out of jail free” card will usher in a brave new world in which hope will always tower over crime, violence, and corruption. Having ensured that anomalies – or “phonies” – like Bullet Gal, honest cop Bob Khan and his partner Irv Forbush, have been introduced to the mix, along with the help of his fellow Capes, and rookie Little Nobody, Lee #3 intends to usher in a new era for Heropa that will outmanoeuvre and defeat their enemies with his audacious gambit whilst also throwing in a wry tip of the hat to the Silver Age of comics just for good measure! 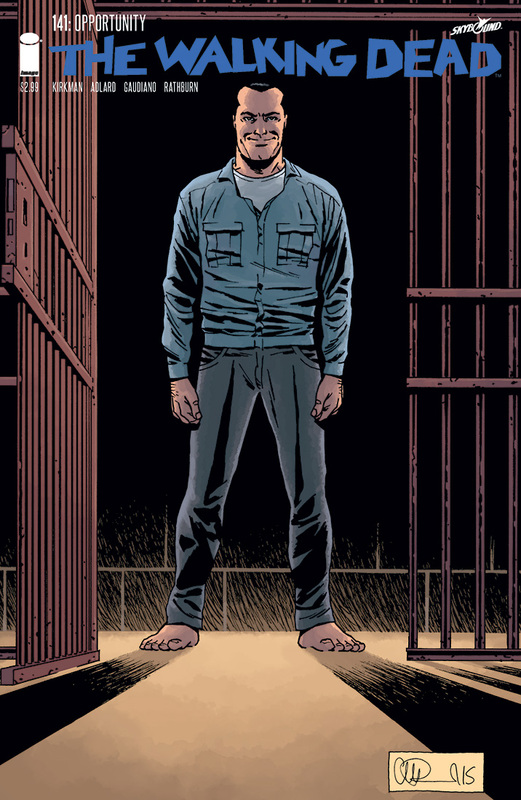 Along with its gorgeous cover by Andrez and Ding, this issue rounds off with a gallery of IF? Comic titles, there’s an edition of Soapbox D’Andrez, together with Post to Pistolero, along with a Bullet Gal Pin Up by Laksanardie, Catch Up image by Nicktribedesign, and a cover design by Martintheworld & Andrez. Bullet Gal #11 is available July 1st 2015 digitally ($1) and in print form ($5) by Australia publisher IF? The CW’s DC’s Legends of Tomorrow First Look Trailer! 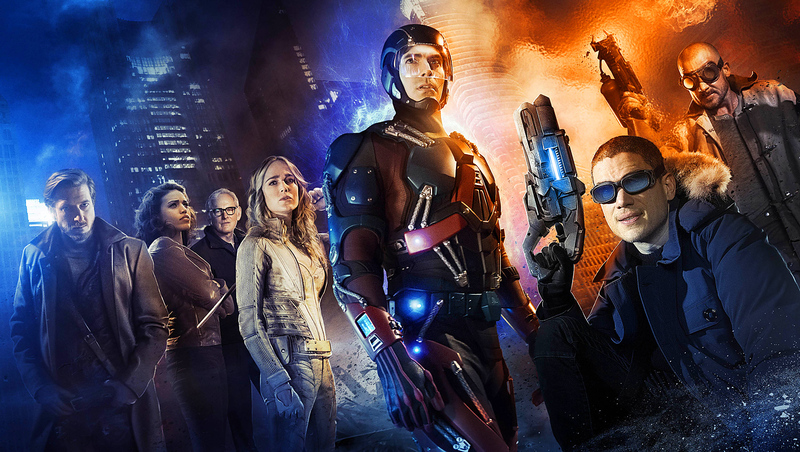 Check out the CW’s DC’s Legends of Tomorrow First Look Trailer! This all new show is sent in the same universe as the Flash and Arrow and features characters from those shows, as well as a few new ones! Can’t wait to see this series, it looks amazing! 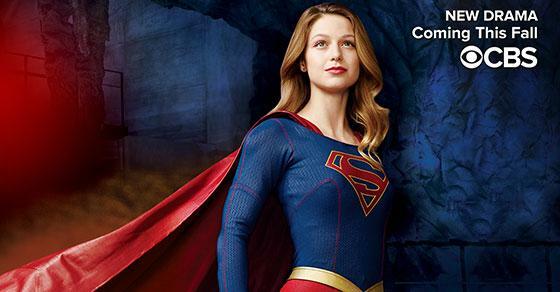 Following their upfronts presentation, the first trailer for CBS’s Supergirl has been released, staring Melissa Benoist, along with a new image of Supergirl’s costume! And here’s the synopsis CBS has released for the show! SUPERGIRL is an action-adventure drama based on the DC Comics character Kara Zor-El (Melissa Benoist), Superman’s (Kal-El) cousin who, after 12 years of keeping her powers a secret on Earth, decides to finally embrace her superhuman abilities and be the hero she was always meant to be. Twelve-year-old Kara escaped the doomed planet Krypton with her parents’ help at the same time as the infant Kal-El. Protected and raised on Earth by her foster family, the Danvers, Kara grew up in the shadow of her foster sister, Alex (Chyler Leigh), and learned to conceal the phenomenal powers she shares with her famous cousin in order to keep her identity a secret. Years later at 24, Kara lives in National City assisting media mogul and fierce taskmaster Cat Grant (Golden Globe Award winner Calista Flockhart), who just hired the Daily Planet’s former photographer, James Olsen (Mehcad Brooks), as her new art director. However, Kara’s days of keeping her talents a secret are over when Hank Henshaw (David Harewood), head of a super-secret agency where her sister also works, enlists her to help them protect the citizens of National City from sinister threats. Though Kara will need to find a way to manage her newfound empowerment with her very human relationships, her heart soars as she takes to the skies as Supergirl to fight crime. Greg Berlanti (“The Flash,” “Arrow”), Ali Adler, Sarah Schecter and Andrew Kreisberg are executive producers for Berlanti Productions in association with Warner Bros. Television. The pilot was directed by Glen Winter (“Arrow”). Really looking forward to this new series! Earth’s mightiest heroes are back in Marvel’s incredible Avengers Age of Ultron. This action-packed superhero sequel from writer / director Joss Whedon, the man who helmed the first film, Avengers Assemble (2012), kicks off 2015’s blockbuster season in tremendous style with this epic Marvel superhero movie that will both thrill and entertain comic book aficionados and film fans of the genre alike. Following the Avengers latest mission to raid a secret Hydra facility and recover Loki’s sceptre, they return to New York where Tony Stark’s experiments with the staffs power to develop an advanced peacekeeping programme goes wrong and the artificial intelligence becomes a lethal sentient robot – Ultron! The Avengers: Iron Man (Robert Downey Jr.), Captain America (Chris Evans), Thor (Chris Hemsworth), the Incredible Hulk (Mark Ruffalo), Black Widow (Scarlet Johansson) and Hawkeye (Jeremy Renner), must unite in these dark times to face their greatest challenge as Ultron instigates his heinous plan to wipe out humanity. As Ultron’s power grows, the Avengers must stop him at any cost, and new alliances will be forged as the mighty Avengers battle to save the world from Ultron! Avengers Age of Ultron is an exciting and witty superhero saga bursting with exhilarating action sequences, back stories, cameos, and adventure on a global scale. Whedon’s dynamic script gives everyone a chance to shine: Robert Downey Jr is on fine form as Tony Stark whose hubris unwittingly creates Ultron, Chris Evans is great as super-solder Captain America from the 1940’s, Chris Hemsworth is commanding and impressive as the mighty Thor, there’s also more focus on Jeremy Renner as we learn more about Hawkeye’s life outside the Avengers, and the close bond developing between Mark Ruffalo’s anguished scientist Bruce Banner and Scarlet Johansson’s former spy Natasha Romanoff becomes increasingly evident as Banner grows more troubled about the destructive power of his rampaging alter ego. Along with the threat posed by Ultron the Avengers also find themselves facing two new foes, the super-powered twins Pietro (Aaron Taylor-Johnson) and Wanda Maximoff (Elizabeth Olsen) aka Quicksilver and the Scarlet Witch. Aaron Taylor-Johnson is great as Quicksilver, and the super speedsters powers are well used on screen. However, it is Elizabeth Olsen’s Scarlet Witch and her uncanny telekinesis and mind control powers that makes the biggest impact when she uses her abilities to mess with the Avengers minds – causing them to experience haunting visions that play to their innermost doubts and darkest fears. Ultron makes a worthy adversary for the Avengers and this sentient robot with a god complex soon proves to be more than a match for the Earth’s mightiest heroes. James Spader imbues the voice of Ultron with an unsettlingly cold malevolence that is quite unnerving. Its a great performance, Spader clearly revels in every evil line he delivers as the films main antagonist, and Ultron’s ambition to facilitate the destruction of humanity also includes recruiting Quicksilver and the Scarlet Witch and constructing a robot army. Writer / Director Joss Whedon has a perfect handle on all these characters. The character development in Avenges Age of Ultron is second to none; Whedon uses the 141 minute running time to great effect, deftly balancing the plethora of sub plots, action sequences, and characters in a way that underlines just how well Whedon understands what makes a comic book adaptation work on the big screen. Moments of levity also nicely counterbalance some of the films darker themes. There’s lots of fun banter between the Avengers to enjoy, Tony Stark gets some great one-liners, and Thor’s attempts to understand 21st century America also provides some laughs. Needless to say the action scenes are absolutely stunning: the attack on the Hydra base is explosively exciting, Iron Man slugs it out with the Hulk in a spectacular building trashing smack down, and the final confrontation with Ultron is a breathtaking race against time as the Avengers battle to save humanity. The extensive cast also includes Samuel L. Jackson as Nick Fury, together with Cobie Smulders as Agent Maria Hill, and Don Cheadle (James Rhodes / War Machine) in supporting roles. Perhaps most significantly Age of Ultron marks the highly anticipated debut of the mysterious Vision to the Marvel Cinematic Universe, played by Paul Bettany, who has voiced J.A.R.V.I.S in four films, and suffice it to say that the character more than lives up to all the hype generated by the films posters and trailers! Avengers Age of Ultron is a brilliant film, Joss Whedon has done a fantastic job, the chemistry between the ensemble cast is superb, it’s packed with blockbusting action from beginning to end, and it also successfully sets things up for the next phase of Marvel films coming our way over the next few years.